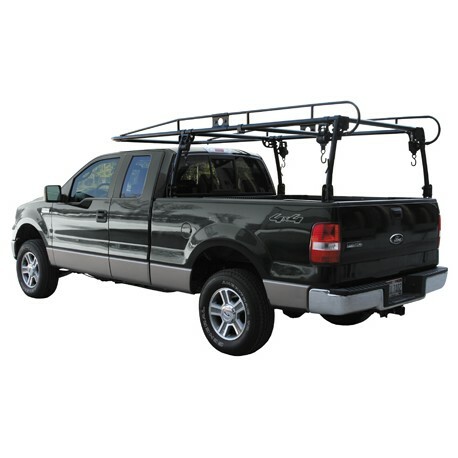 Unique "no drill" design of this modular pickup truck rack utilizes engineered fasteners that clamp the rack onto the truck bed rail. The bed mounting fasteners are below the top of the bed rail providing very easy installation of tool boxes! 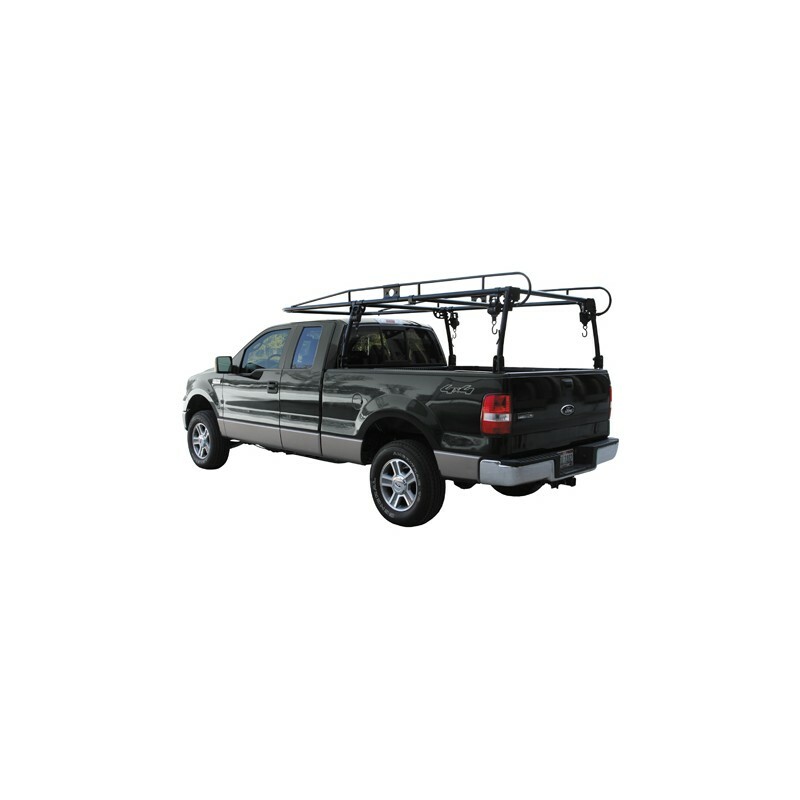 Unique "no drill" design of this modular pickup truck rack utilizes engineered fasteners that clamp the rack onto the truck bed rail. The bed mounting fasteners are below the top of the bed rail providing very easy installation of tool boxes! Great for hauling ladders, pipe, lumber or other cargo. Fits all full size domestic pickup trucks with long or short beds: Dodge 1500, 2500, 3500 Ford F150, F250, F350 GM 1500, 2500, 3500 Heavy duty aircraft design bracing gussets, built in rear grab handles and a high impact "wrinkle style" black powder coat finish with a rust inhibitor E-coat will provide years of rugged and reliable service. The rear cross bar can be easily removed to allow tall objects to load in the bed. With the rear cross bar in place, the rack has a 1,000 pound capacity. An additional center bed cross bar is included for carrying short items. The center bed cross bar is adjustable to any position. The rack ships via ground transportation in two cartons and is supplied with all assembly and installation hardware. Very detailed instructions include easy to follow directions with loads of pictures and illustrations. Add the optional retracting Ratchet Tie Downs (SKU 5473B) for a complete contractor cargo transportation system.